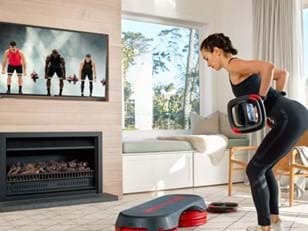 Virtual workouts combine our world-leading fitness programs with pumping sound and motivation from some of the hottest instructors on the planet. It’s a truly inspiring experience that will complement your live classes and drive amazing results. Our virtual workout solution can help you overcome the limits of time within your club. By scheduling LES MILLS Virtual™ workouts into your timetable, you can meet the needs of more of your members, even in the quiet times. Give members the flexibility to select their own classes with on-demand, or schedule the classes on the timetable. Peak times don’t work for everyone, but scheduling classes off-peak isn’t always cost effective. 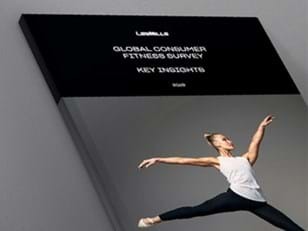 LES MILLS Virtual can help solve that problem and meet the needs of more members. Getting to more classes drives better results, and results are what keeps them coming back. LES MILLS Virtual is also a low-risk way for members to try out a new program and gain confidence before they try it live with an Instructor. This is the original barbell class – a weights class for absolutely everyone. The 30 or 55-minute class gives you a total body workout and will make you toned, lean and fit. Find out more. A high energy martial arts-inspired non-contact workout. In the 30 and 55-minute class you’ll learn how to punch, kick and strike your way to superior fitness and strength. Find out more. Combining yoga, Tai Chi and Pilates-based movements set to music, this program will improve your mind, your body and your life. There's a full 55-minute class and two 30-minute options, which focus on either strength or flexibility. Find out more. In this 30-minute workout you’ll learn how to activate the muscles that create optimal core control, the vital ingredient for a stronger body, while chiseling your waistline. Find out more. An insanely addictive dance workout available in 30 & 45-minute. SH’BAM is an ego-free zone, where a fun-loving instructor guides you through simple (yet sassy) dance moves, all set to a party playlist. Find out more. This 45 and 50-minute indoor cycling classes is set to the rhythm of motivating music. It burns a lot of calories, gets you fit and leaves you feeling euphoric. Find out more. A series of 30 minute HIIT workouts that build cardiovascular fitness, improve strength, build lean muscle and maximize calorie burn. Members will be able to enjoy three different classes: Strength, Cardio and Plyometrics. Find out more. BORN TO MOVE is a fun, innovative physical activity program, designed to get children and teenagers moving while building their confidence and motivation. Find out more. Get virtual in your club. Or join our insight seminar: Virtual - A convenient reality. BOOK YOUR FREE SPACE NOW.